Welcome to our first Battle March event, which we hope will become an annual event. The march’s format: The march will consist of a preplanned 10km long route. The intent is to replicate one of the actual shorter marchs and give the reenactor a taste of what it was like to partake in such an event, but with a lesser degree of hardship. For a SADF troop, this will consist of either full browns (shirt and pants) or browns overalls. A bush hat is preferred but in its place a M63 staaldak or M83 kevlar helmet are acceptable. SADF issue boots are to be worn, either brown or black depending on the unit represented by the individual. The webbing to be worn is either the P70 or P83 web gear. The P70 webbing will consist of the full marching gear, i.e. skeleton webbing including grootsak and poncho cover. The P83 webbing will consist of the grootsak and chest webbing. The webbing in either case must make allowance for easy access to the 4 magazines and 2 liters (minimum) of water, stored in period correct containers. Webbing weight is to be 10kg minimum. This will include a helmet, if worn but exclude the two liters of water (minimum) and will include the 4 magazines. It is suggested that the equipment weigh slightly more than 10kg to prevent any misunderstandings. It is suggested that the kit contain any snacks or light eats that can be eaten along the route. Plasters or duct tape should be packed if one is prone to blisters. A suitable AEG is to be carried and can be fitted with a suitable period correct sling. This will be charged, on safe and carried without a magazine fitted. The magazines carried will contain a total of 100bb’s equally distributed. If only one magazine is used, then a speed loader is to be carried. The webbing will be weighed at the start of the march, and must weigh in on the NRCC hand scale at 10kg. This will be weighed again at a random point and once again at the end of the march. For those representing other troops, the webbing and kit should match their representation but still match the weight and other requirements. The march is to course is to be completed in full in under 4 hours to obtain a pass. The participants may walk in groups or as individuals. Hydration stops are allowed, and the frequency and duration are up to the participants themselves. It is suggested that the participants do read up on heat stroke, the prevention thereof and treatment thereof. After 10 minutes break, after the march each participant will be expected to advance on and engage a series of targets and reload between each target. 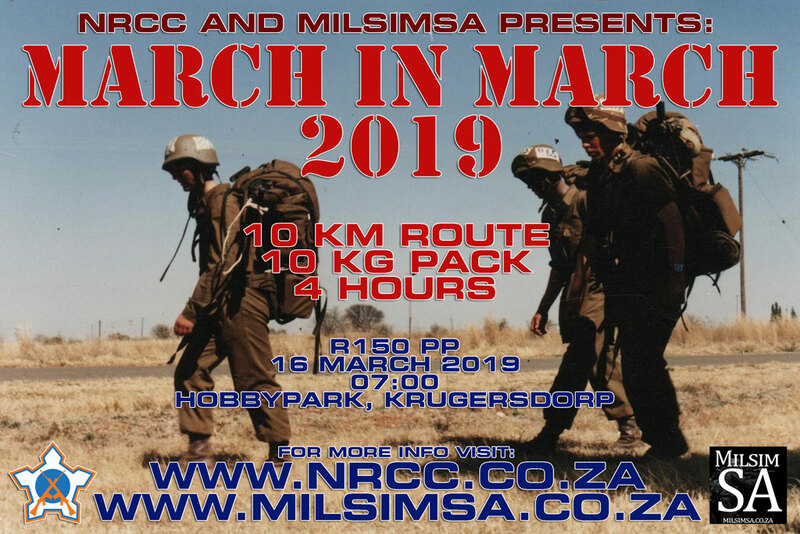 By completing the march in 4 hours and then engaging the targets, each participant will have completed the days events. Entries will be via a prepaid entry application. Each participant will be expected to sign an indemnity form. 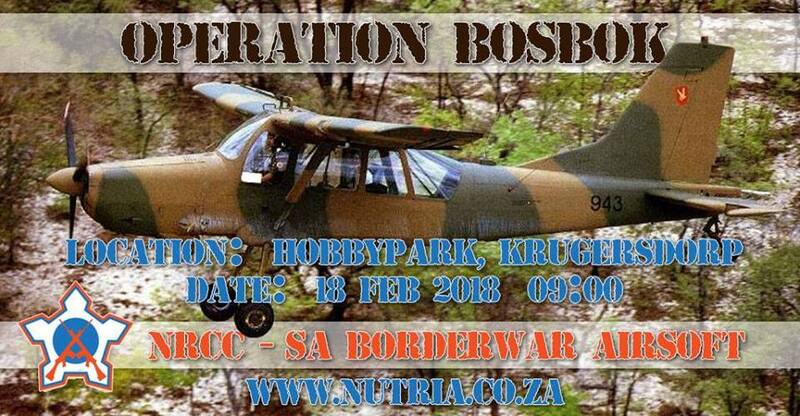 The participants must bring a copy of their ID and medical aid number.